Former prime minister Ehud Barak praised Secretary of State John Kerry's speech Wednesday, tweeting that "this the way Russia and China think as well as the majority of Israelis." 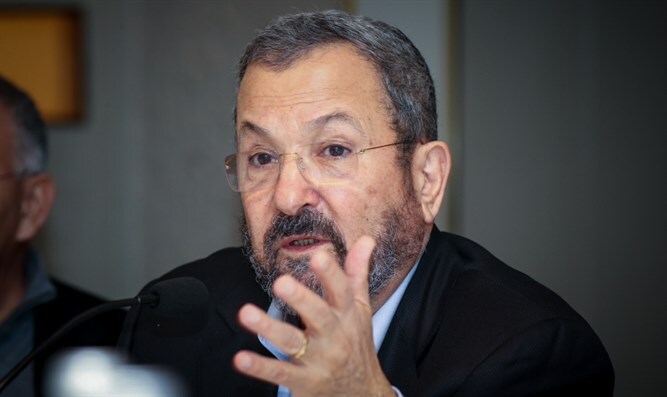 Barak added that "The prime minister is being dragged after the messianic stream, standing in front of an abyss and insisting on walking forward." Jewish Home leader Naftali Bennett responded by saying that "messianism is to grant Arafat the Old City of Jerusalem, not to respond to the kidnapping of soldiers, to suggest transferring the Golan Heights to the Syrians, to abandon Madhat Yusuf (at Joseph's tomb in October 200) to die and then to dare to continue tweeting." Earlier Bennett attacked Kerry's speech, stating that "Kerry quoted me three times anonymously in his speech in order to demonstrate that we oppose a Palestinian state." "So let me state it explicitly:"
"Yes. If it depends on me, we will not establish another terror state in the heart of our country. The citizens of Israel have paid with thousands of victims, tens of thousands of rockets and innumerable condemnations for the utopian idea of a Palestinian state. It's time for a new policy and we will lead the way."